For the first time in India, the critically endangered Great Indian Bustard has been tracked for a distance of 7774 km using satellite telemetry. This tracking has provided information about the bird such as its breeding pattern, feeding behavior and preferred habitat. 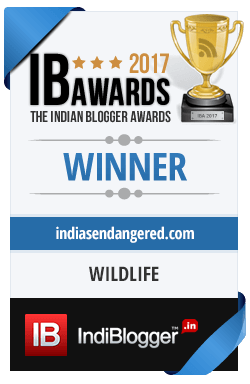 With only 300 of the birds left in the wild, this insight would be extremely important in saving the Great Indian Bustard. Known as one of the rarest birds in the world, the Great India Bustard is found in a handful of states in India. A typical grassland habitat bird, the species numbers have plummeted over the years because of severe habitat loss, poaching, attack by feral dogs and infrastructure development. What adds to the woes of the bird is their extremely slow breeding rate. A female bustard typically lays an egg every 2-3 years and the mortality rate of the chick is up to 60 % in the first year. 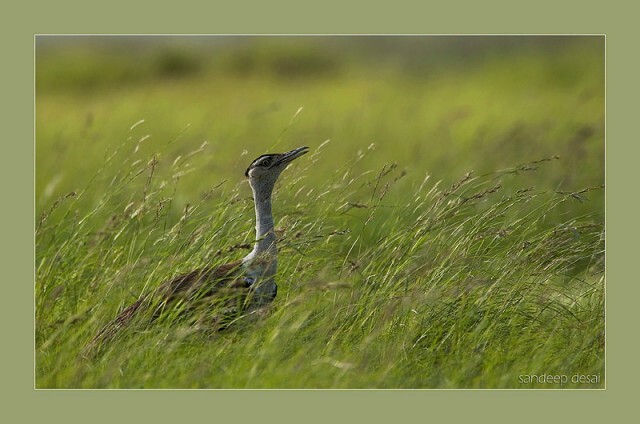 In the present study – the first of its kind to be ever done on the bird – scientists from Wildlife Institute of India (WII) fitted a 70 g transmitter to a male bustard at the Nannaj Bustard Sanctuary in Maharashtra. This was done in April 2015. In the next 9 months, the data analyzed showed that the bird travelled to 2260 locations in Mahashtra state travelling a distance of 7,774 km. The scientist also added that the GIB sanctuary was established in Maharashtra in 1979 in Solapur and Ahmednagar districts and although the population of the bird began to rise intitially, it declined after the 90s. Today, this particular sanctuary has only 10-12 great Indian bustards. He says the major threats to the species is modernization of agricultural practices and urban development. 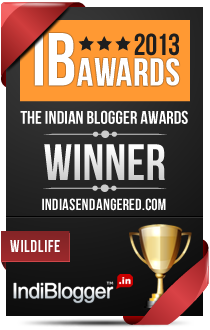 The Great Indian Bustard Challenge – Can India Save The Bird? To secure the future of the birds, WII scientists are also planning a breeding centre for the bird in Rajasthan. The birds that are bred in captivity here will later be released into the wild. The tracking of the male bustard is continuing and researchers hope they will get more information from the process.